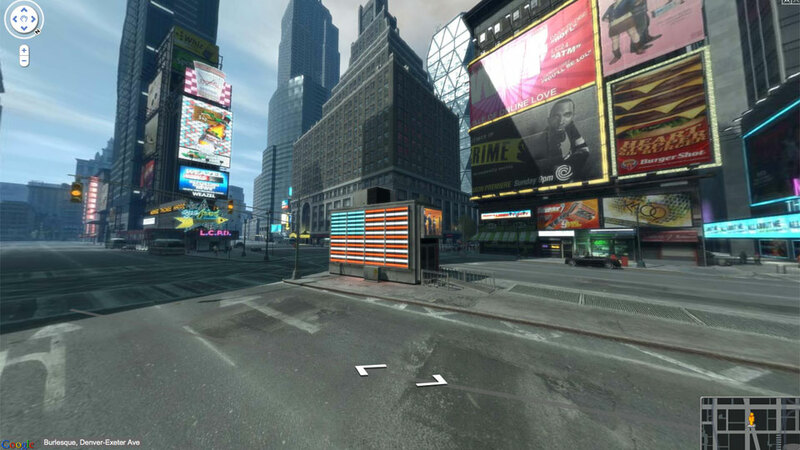 Now you can cruise the seedy streets of Grand Theft Auto IV's take on Liberty City from the comfort and safety of your web browser, thanks to the efforts of GTA's most dedicated fans and some 80,000 screenshots. "All roads are covered, except for a few on/off-ramps that weren't very interesting," writes Adam from GTA4.net. "There's around 3000 separate panoramas which were stitched together from almost 80,000 in-game screenshots (captured with a script) and the final set of tiles consist of over a million images." Somebody had to much time on their hands. So awesome... So completely, utterly awesome. I can't even really tell you exactly why it's awesome, it just is! So people how don't have the game can pretend they're walking the streets? It's as badass as a honey badger! So badass it'l run up under ya and tear your scrotum off!